Need Your Air Tank Refilled? We’ve Got You Covered! We can fill compressed air cylinders for: Paintball, Avalanche Pack, Avalanche Airbag Backpacks, ABS-Airbags, Air Guns, Air Rifle, Pre-Charged Pneumatics, PCP, SCBA, Scuba. We also stock Paintball fill connectors and sell Scuba Tanks (New and Used) as many enthusiast chose to purchase their own Tank to be able to fill their small cylinders out in the field. Current D.O.T. and Visual test requirements apply. We can generally fill most cylinders while you wait especially Monday-Friday, though we are open 7 days a week and will do our best to service you any day! Please contact us if you have any questions and stop in next time you need some air! 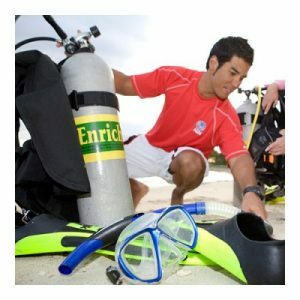 Read more about our our service department at A-1 Scuba & Travel Aquatics Center.